Place the script in your SendTo folder. 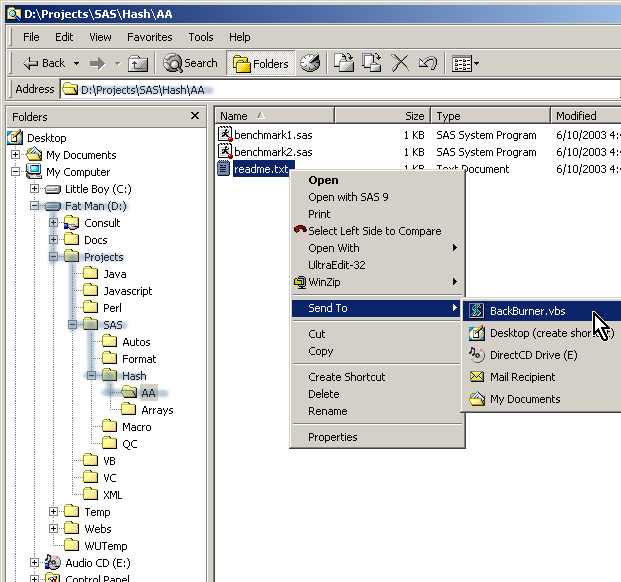 Right click on a file or folder to copy from source to destination, replicating the path to the source in the destination. All necessary paths are automatically created. This page was last updated 17 August 2003.